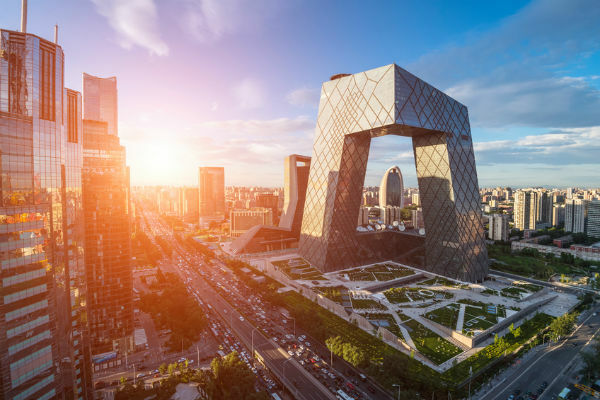 Beijing is a momentous capital city with several outstanding UNESCO listed historical sites which contrast with a thoroughly modern side, largely thanks to the Olympics which saw billions invested in the city. Traditional attractions are the vast royal palaces of The Forbidden City and Tiananmen Square while the dynasties of the ancient empire and the revolutionary rule of Mao Zedong live on for all to appreciate. Perhaps the most famous attraction is the winding Great Wall of China set amid green hills, an easy day-trip from the city. The metro system is vast – it has no less than 334 stations and 554 kilometres of track – and it’s wonderfully modern, economical and easy to use. Many travellers use it as a good way to get around while mingling with the local population. If you’d prefer to stay away from the madding crowds, taxis are plentiful and cheap and the Uber app gets you a ride in a matter of minutes. When you’re ready to leave the city, numerous high mountains and hills surround Beijing, making for great hiking territory. They lead you along the Great Wall, as well as on many other routes through the hills via unspoilt villages. Despite China’s rather conservative reputation when it comes to social policies, Beijing has a vibrant gay scene, including several LGBT-friendly bars, restaurants, galleries, cafes and more. Boats dotting the waterfront, packed dim sum restaurants, temples perfumed with incense, atmospheric teahouses and street markets: Hong Kong teems with energy and intrigue. This is a city with a remarkable mix of Western and Eastern influences thanks to a colonial heritage that only ended in 1997 when the city was handed back to China – centuries of British rule have left a lasting legacy on Hong Kong. Hong Kong’s restaurants satiate a wide variety of culinary appetites – from wonton noodles, freshly steamed dim sum or warm pineapple buns to the sweetest prawns and tofu. The city boasts no less than six restaurants with three Michelin stars. Non meat-eaters also enjoy mouth-watering treats in the city’s many vegetarian restaurants. The MTR is a rapid and clean (eating and drinking are not allowed in stations and trains) rail and subway system, perfect for getting around the city. Get an Octopus card and enjoy the ride. Alternatively, the Uber app gets you a pre-paid cab in a matter of minutes. There’s far more to Hong Kong than the city alone. Its natural attractions include mountain ranges ideal for hiking, along with volcanic landscapes, pristine woodlands, islands, marine parks and seemingly endless miles of golden beaches. If you’re travelling alone, you might want some company from fellow travellers or locals, there are several meet up opportunities within the city to suit all kinds of people including hiking groups that take to the trails of Hong Kong’s green belts. The LGBT scene in Hong Kong is developing as homosexuality is now legal and public opinion is increasingly tolerant. Shanghai is a stunning city that blends history with a cosmopolitan feel and begs to be wandered. Modern, neck-craning skyscrapers, art deco buildings, cathedrals, synagogues, Buddhist temples and the charm of the Old Town combine to make this city the glittering wonder it is. Eating is one the greatest pleasures in Shanghai, thanks to a varied and modern restaurant scene, unmatched street food as well as an increasing number of vegetarian and vegan options too. The Shanghai Metro, the world’s largest rapid transit system, is a safe and quick way to get around the city and its suburbs. If you prefer an over-ground route, the Uber app brings you a cab ride right away. If the heat of the city gets wearing, there are always the beaches to take a dip at and enjoy the sand between your toes. Alternatively, you could escape to the lofty peaks of beautiful Yellow Mountain (Huangshan), now a UNESCO site due to the magnificence of its scenery. There are several meet up opportunities in Shanghai, ideal if you are travelling alone and would like to enjoy your experience in the company of others for a day. For women travelling alone, shanghai is generally regarded as a safe place to explore provided you exercise caution. Make sure you respect traditions too by avoiding the most common faux pas. The LGBT scene in Shanghai is very much alive in bars and clubs for gay men, while lesbians generally find fewer options for a night out. Shanghai Studio hosts women’s nights each month. You could also try Bar Frangipani (399 Dagu Road) and the club Red Station (4th floor, 200 Taikang Road).